YES! I want to order Earth 4 Electricity and I know there's no time to lose. Thanks for the 100% money back guarantee, too - that takes all the pressure off my decision. 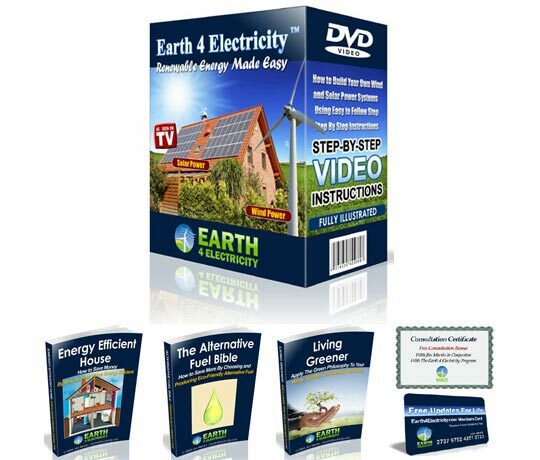 I Understand that when I place my order, here is what I will get for my $49.97: The 280 page Earth 4 Electricity e-book, step-by-step instructional videos, lifetime updates, one on one counselling with Jim Martin and all 3 bonus reports. I understand that these are all instant downloads, so I can get started ASAP! ... And You Save $29.95! 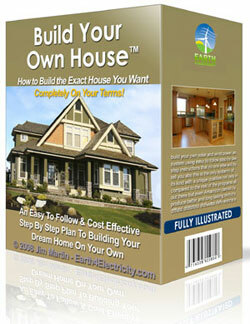 Build Your own House™ is a classic step by step roadmap for planning, contracting, and building your own home. The Book covers everything from choosing the right location to laying blocks, from planning and building walls and windows, to laying carpets and fascia, from hiring the right vendors to choosing fixtures, focusing on the latest technologies, materials, money-saving options, and environmentally friendly methods, allowing you to save money, get more for your money, maximize your usable space, decrease maintenance costs, and choose from an exciting array of new options. The Build Your Own House™ book is the perfect complement to the Earth 4 Electricity™ program and it also contains page after page of new and never before released information about how to plan, prepare, build and even decorate your own dream house, you cannot find anywhere else! The Build Your Own House™ book will be selling separately for $47 when it launches next month. 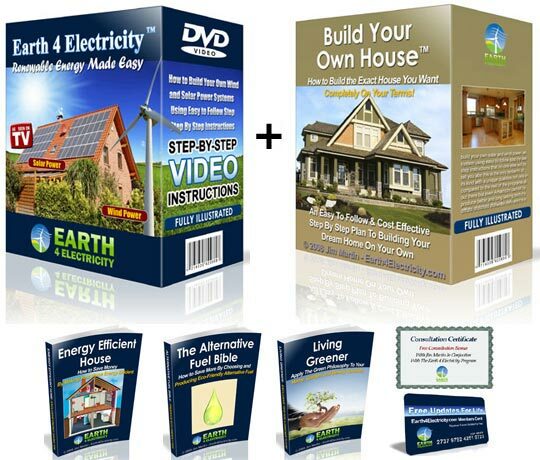 This is your only chance to grab both ebooks – Earth 4 Electricity™ and Build Your Own House™ in one great package at one great low price.